Today, many people get wrinkles even in their mid-20s. One may get wrinkles due to hectic lifestyles, stress, pollution, unhealthy diet and lack of sleep. Your wrinkles can make you look old. It can lower your self-confidence and you may also feel embarrassed. So, if you start noticing wrinkles around your eyes or forehead, don’t panic, just follow these instructions which we have listed for you. Age gracefully and look beautiful! You can apply coconut oil: It has moisturizing and hydrating properties which will help your skin to shine. It can also help you to restore the elasticity of your skin. You can massage the coconut oil on the affected area and wash it off later. You can apply cucumber: Did you know that cucumber can be a boon for your wrinkles? Yes, since cucumber is loaded with vitamins and minerals and reduce your wrinkle and dark circles. You should apply cucumber juice on the skin and let it dry. Wash it off after some time. You can apply aloe vera gel: It is loaded with vitamin E and it has anti-inflammatory properties which can be beneficial for the skin. Apply some aloe vera gel on the affected area and wash it off with water after sometime. 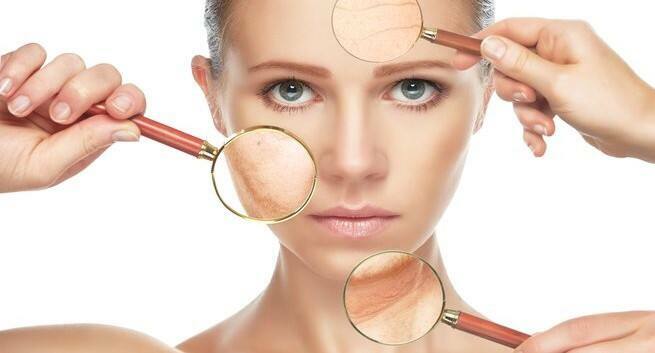 You will notice that your wrinkles are vanishing. You can apply honey: It can be an effective remedy to tackle your skin problems. It can help you to balance the skin’s pH and reduce the appearance of your wrinkles. You can apply honey on your skin and leave it on your skin for 10 minutes and just feel the difference. You can also apply jojoba oil: It can lubricate your skin and help you to deal with wrinkles.Just massage some jojoba oil on the affected area and you are sorted!